Cosy and very comfortable house with 180 square meters of space to relax. Child-friendly, bright and very private. For a long weekend in the Rhine metropolis or Messeunterkunft. Direct transport links to the A46 / A57. small hallway separately and feature a new bathroom. The upper bedrooms are larger, have double beds and are equipped with an extra bed or a sofa bed. The bathrooms feature a shower and a freestanding bath to choose from. The small sauna in the basement is a little bit older, but well maintained and offers a maximum of 4 people. The large terrace invites you to celebrate and chill out. The park-like garden makes you forget that you are so close to the big city. Bring your wheels, you can reach the center / harbor in a beautiful tour along the Rhine in 30 minutes Dusseldorf. We truly enjoyed our stay and Martina was very helpful and provided everything we needed. Fantastci house with great owners! 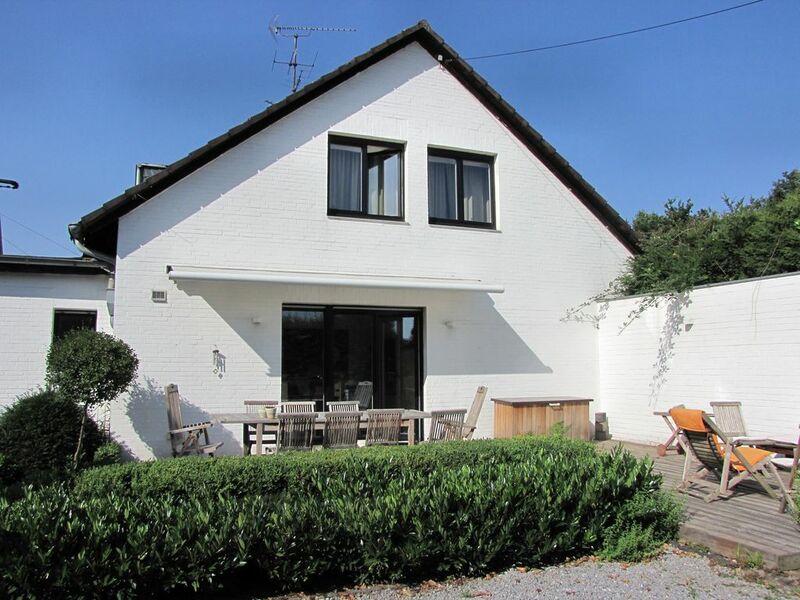 The house is lovely, located only 20 minutes from Dusseldorf with easy access by road. Myself and two colleagues stayed there for a week during a business trip and have to say it was probably one of the nicest, relaxing places you can ask for when it comes to working away. The house itself is very spacious with a warm welcoming living area, newly refurbished kitchen and fantastic outside area. The rear garden is spacious, and great to relax and finish of the evening with a beer/wine and a BBQ. I can imagine during the warmer months, the pool would get used a lot more. The owner is lovely, great communication and welcome. I'll certainly return. We will be back next year! Next time please leave us the WiFi information and more toilet paper. We stayed in this home while visiting Düsseldorf area as tourists. It was such a nice experience. Loved the kitchen and back yard. Master bath was gorgeous. I rather enjoyed being in the country setting -yet very close to Düsseldorf. Room for our party of 6 easily. We would stay here again!!! We where a family of 6, and we all loved the home. We found the home and all the rooms to be clean, with plenty of bathrooms and space to spread out. The internet was adequate, the location was excellent and close to jump on and off the hyw. The grocery store was a short distance away. The communication with Martina (owner) was great, and was a pleasure to work with. The only thing I wished for was that the home rate included the linens, but maybe that is how they handle the bedding in Germany, which is different than the USA. Very nice place. Everything is well maintained. Would look forward to a future stay their.